Buy all the tools needed to build his version of Nicholson's work bench. This DVD will also help you when you go to purchase other tools for guitar making. Remember, you will need a work bench on which to build your first, second, third, etc., guitar! This DVD is another "must" for your education! #3: Keep the tool list simple. Stick with hand tools for your first guitar or two, hand tools are much quieter than power tools, but can bite as badly. Safety should always be your first concern. 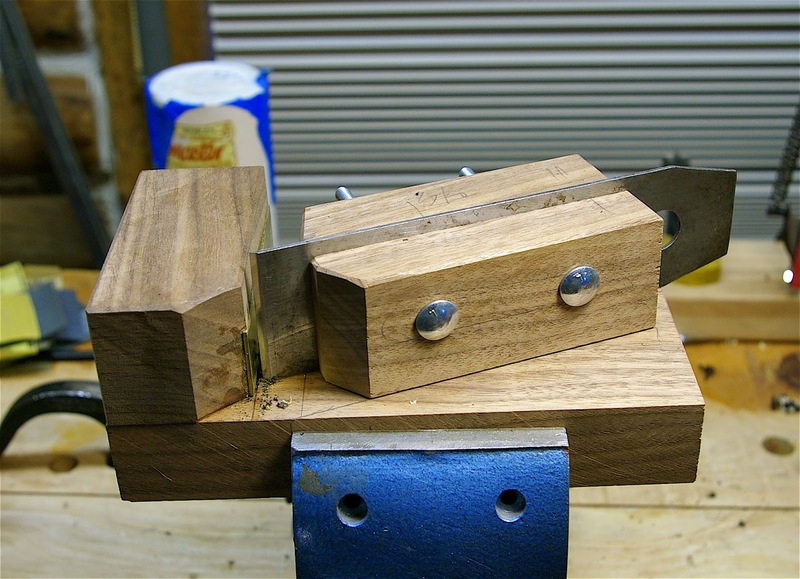 Click here to read about my list of tools for guitar making. #4: Pick a guitar to make. Click here to see some plans that are available from the Guild of American Luthiers. I suggest that you make the guitar in Guitarmaking for your first guitar. Do not deviate from the instructions in the book, you can do that on your second or third guitar. Or you can pick a historic guitar, such as the 1912 Manuel Ramirez guitar that was used by the great Andres Segovia (click here for a video), and use the instructions in Courtnall's book to build it, but no matter which method you chose you must follow the method to the letter and remain true to whatever guitar you pick! #5: Here is where I am going to get into trouble from the cyber wood working world. Do not visit any forum on guitar making! Forums are a waste of time, you should be in your shop making a guitar. Do your own research on guitar making! Read every thing you can get your hands on and then spend time in the shop working on guitars! Many would be guitar makers express their opinions on guitar making in those forums and that is just what they are - opinions. Then the professionals weigh in and it gets messy. Remember this: your goal to is make a guitar that a guitar player will play and use. Very few professional guitar makers are professional musicians. #6: After you have made two or three guitars start researching how the traditional Spanish guitar was/is made. Or maybe you will buy into the school of making where every guitar should have a double top with lattice bracing. #7: When you have completed your first guitar, do not take it to a professional guitar maker for a critique! A guitar maker will not buy your guitar, only a guitar player will buy your guitar! Players/performers are the ones who will tell you if the action is too high, if the guitar is too quiet or too boomy, they are your best critics! #8: Perhaps the best piece of advice I can pass along is produce, produce, produce. #9: You can ignore what I just said and hie yourself to the nearest guitar making school. I know that Red Rocks Community College in Lakewood, Colorado has a great program, click here to learn more. I know that there are other such programs through out the nation. One reader told me that he was able to find a guitar maker who was willing to teach him how to make a guitar, that is another great avenue to proceed on! Better yet, get a grant so you can go to Granada, Spain and study with Antonio Marin or John Ray or Antonio Raya Pardo! Learn how to make a truly Spanish guitar! A guitar is a romantic creation. #10: You must live, eat and breathe classical guitars! That means you must love them and that is all you want to make! Money should be of no concern to you, think not of making a living at making guitars! The only thing that matters is that you make them! Now, turn off your computer or other device and get yourself into the work shop and make something! Here is a wonderful phenom, Leonora Spangenberger. She is only 11 years old! Great post! I'm midway through step #2 currently. I can't stress enough how inspiring I find you blog, Wilson. I'm a beginning woodworker and aspiring Luthier, and you're blog has been a great resource for me in that I aspire to make guitars using hand tools. Thanks again and please keep writing. 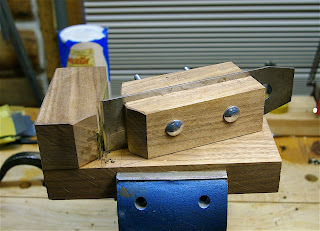 I'm documenting my progress as well at http://www.woodnerd.net. Wood you mind very much if I shoot you the odd question via email on occasion?